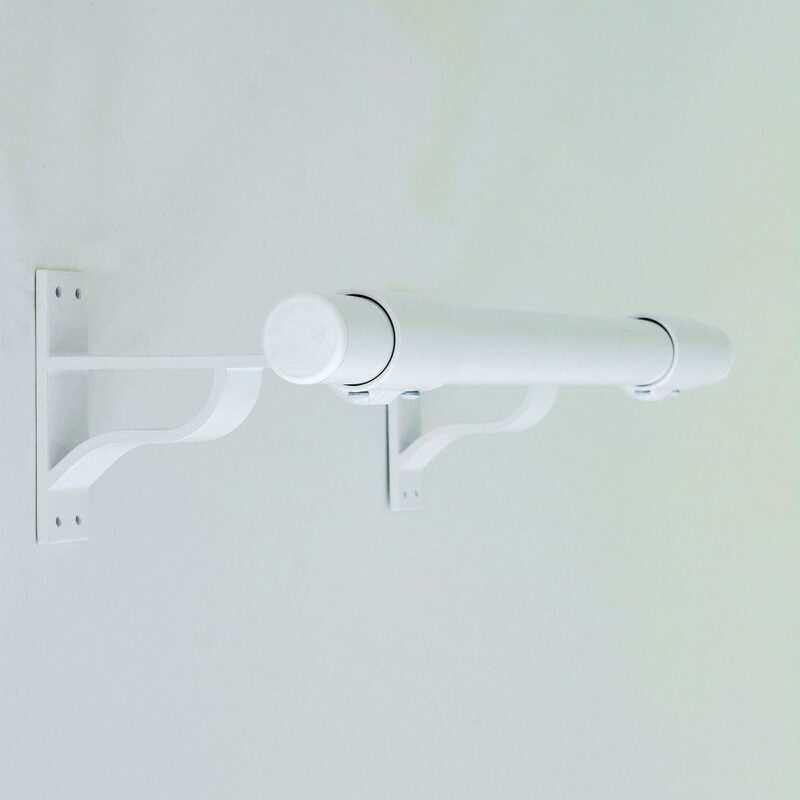 Our wall mounted fitness brackets are 1 1/2″ wide, 5″ deep and extend 7.5″ from the wall. 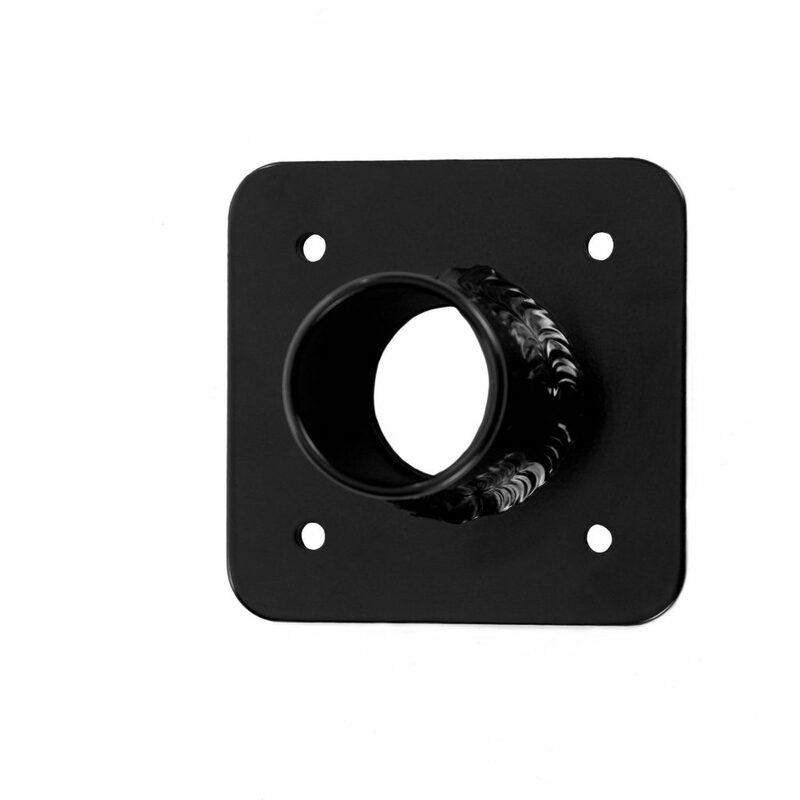 You attach the barre to the bracket by underpin screws that we supply. 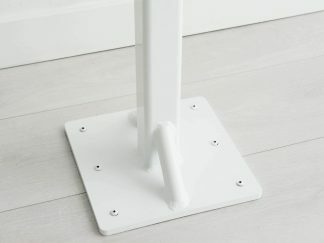 For maximum security place the brackets 48” apart. 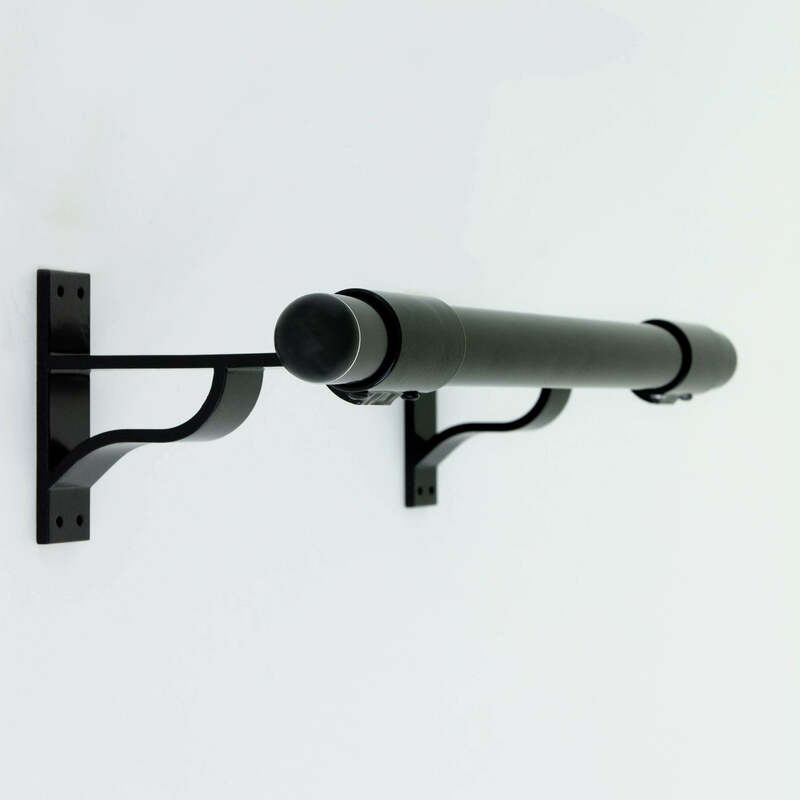 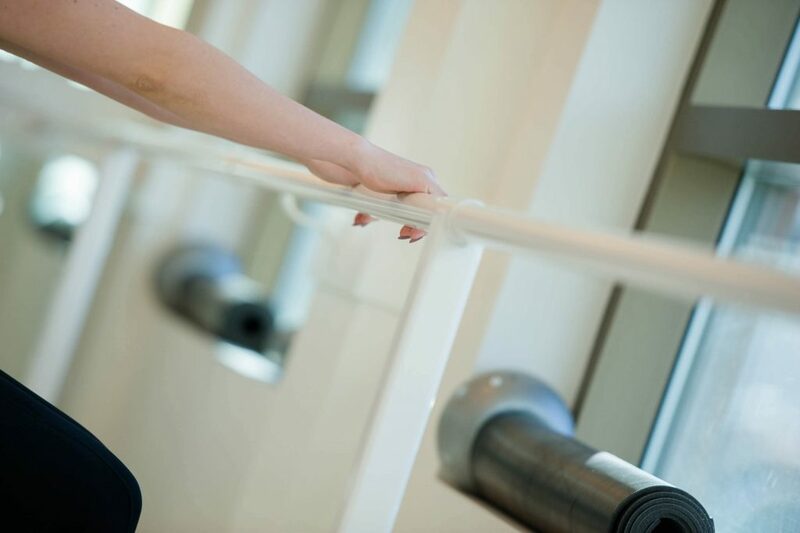 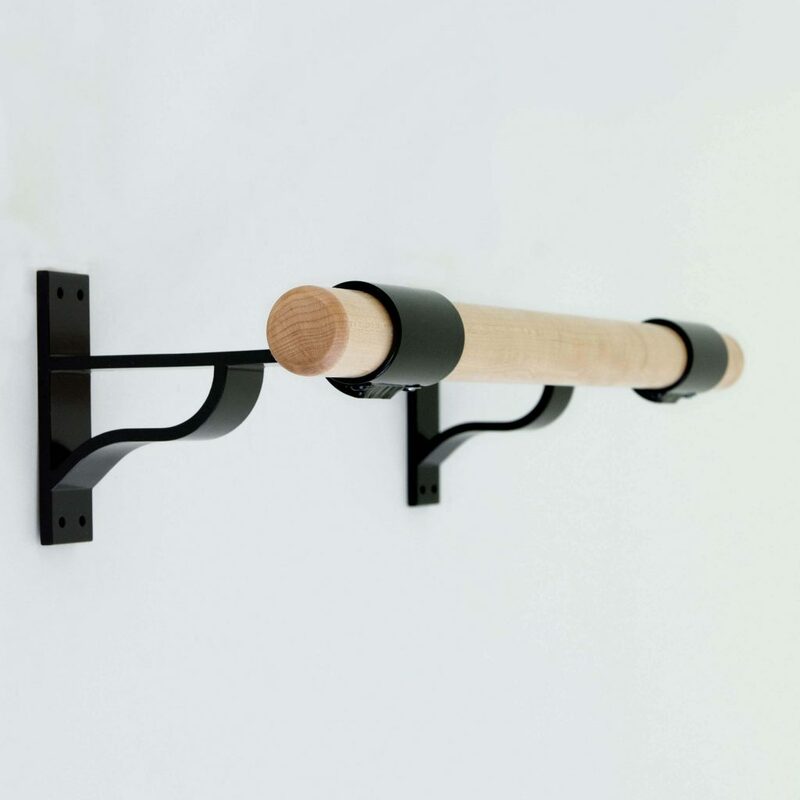 Fit-Outs wall mount fitness (closed) brackets, surround our barres completely, are very sturdy, stable and durable. Made from high-quality aluminum and powder coated to provide a long-lasting semi-gloss finish. 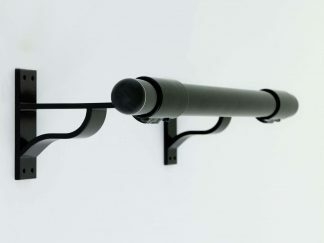 Choose from Gray, Black or White. Our brackets can be sold separately – you choose the quantity.